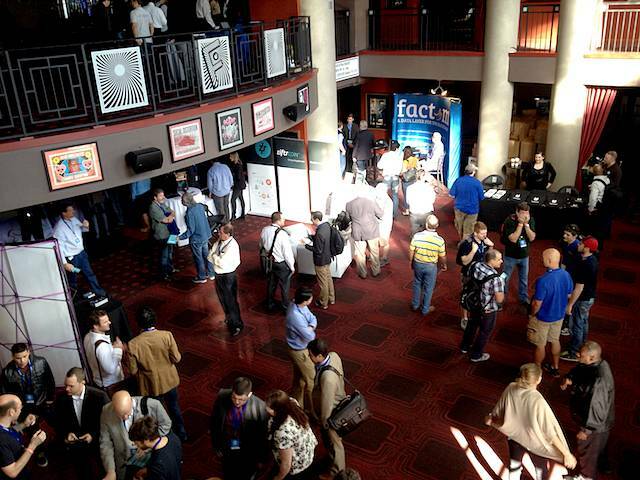 MIAMI (InsideBitcoins) — Panels discussing regulatory issues can be a bit tedious at bitcoin conferences. 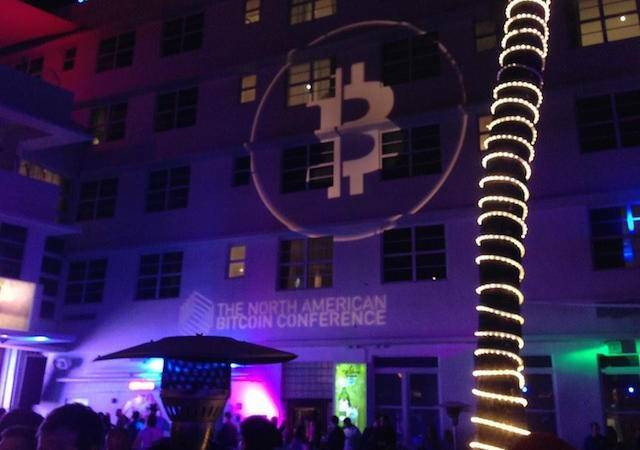 But this afternoon in Miami at The North American Bitcoin Conference, predictions were made, warnings were issued and attendees may have heard a bit more than they bargained for. Moderated by Jacob Farber of Perkins Coie, panelists included: Christopher Hopkins of Akerman, Marco Santori of Pillsbury Winthrop Shaw Pittman, Perianne Boring, founder and CEO of the Chamber of Digital Commerce, Kathryn Haun, assistant U.S. Attorney for the organized crime strike force and Andrew Ittleman of Fuerst, Ittleman, David & Joseph. Australian senator Sam Dastyari joined the panel in the second half hour to provide an international view. The panel was asked to offer predictions of major events imminent in the regulatory realm. 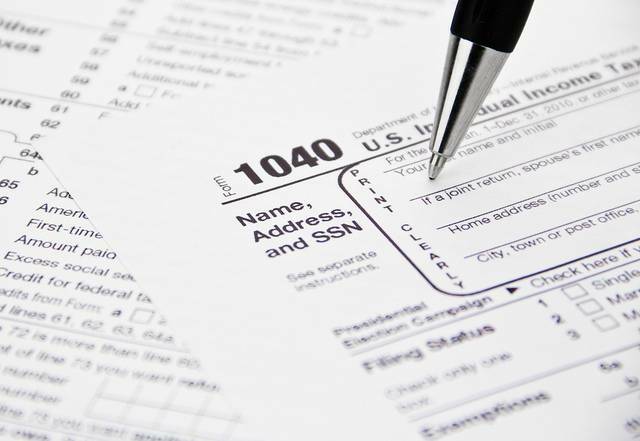 Ittleman provided the first fireworks by saying the beleagured bitcoin mining industry has witnessed “a shot across the bow” from the Internal Revenue Service. Ittleman says that unlike traditional mineral mining, Bitcoin miners experience a taxable event “the moment you mine it,” and that taxable event is “a serious one,” even before the asset is sold. “If their position is going to be tested through audits and ultimately in tax court litigation, it could theoretically make mining, especially in the United States, completely unprofitable — worse than it is now,” Ittleman said. That could damage the bitcoin ecosystem, “worse than anything else.” He expects the already dicey business — suffering thin, if any, profits due to a sagging price and increasing mining difficulty — can expect heightened interest from regulators, likely resulting in the first tax audit of a miner soon. Haun forecast the industry would see additional “government guidance” soon in matters of cryptocurrency regulations. Unspoken, but perhaps veiled in her prognostication was that the guidance could be issued in the form of enforcement action. Marco Santori predicted that “a U.S. state” – and not New York, though its BitLicense has been top of the mind in the industry – would be putting the first digital currency-specific law on the books before the end of the second or third quarter of this year. The panel continued to offer one dire prediction after another for the coming year. Hopkins said that consumer action would be spurred by a wave of lawsuits against cryptocurrency companies whose promises may have exceeded their performance. And Haun added that enforcement of money laundering laws don’t require a business to be officially categorized as a Money Services Business (MSB). Boring said that having a well-implemented and documented compliance program was the first step in staying out of trouble and that the Digital Chamber had resources available to guide such efforts. 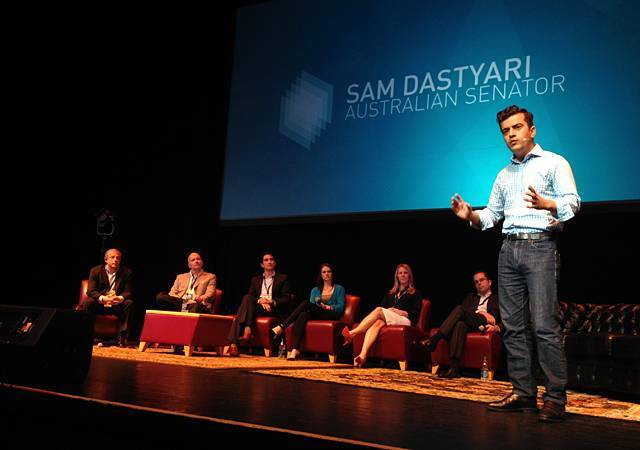 Finally, Sam Dastyari, senator for New South Wales, Australia, gave a politician’s view of government regulation, by disputing the notion that for companies to simply “do the right thing” and expect a result of “the best policy outcome” was a mistake. The industry has to lead the initiative in helping structure a framework for regulation he said, rather than unrealistically expecting the government to create new laws that are better than what are already on the books.